Of the names of the 216 suburbs that have been identified to date in the Greater Harare area, 44 (20.4%) can be found in Scotland or are based on Scottish family names. Of course, some of the names are used in other parts of the British Isles as well, but at least 13 of them (6.0%) are unique to Scotland, or are readily identifiable with places in Scotland that are based on the same names. It may surprise some younger readers to find Scottish names in this southern African city. 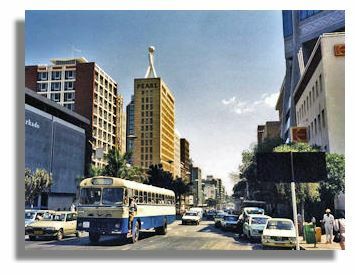 This is a legacy of the days when Harare was known as Salisbury, the capital of Southern Rhodesia, the bulk of whose European population was British. A sizeable proportion of these settlers would have been Scots. It should also be remembered that several explorers of 'Darkest Africa' were in fact Scotsmen, including the missionary-explorer David Livingstone (1813-1873), whose discoveries paved the way for later British colonisation of central Africa. Picture of Hararare via Wikimedia. Ardbennie and New Ardbennie – Ardbennie in Scotland is a small settlement near Keillour Forest, east of Crieff in Perth & Kinross. · Glenwood (Aberdeenshire). Adylinn - the only occurrence of this name anywhere in Britain appears to be as the address of a property, house or other location in Blairgowrie, Perth & Kinross. Ardbennie (a small settlement near Keillour Forest, east of Crieff in Perth & Kinross). 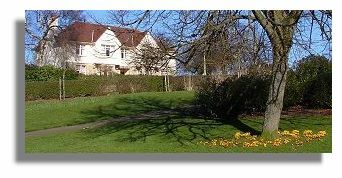 Ballantyne Park - Ballantyne is a Scottish family name, probably derived from the lands of Bellenden in the former county of Roxburghshire. Black (1996), the authority on Scottish family names, lists a number of early references to the name, going back to 1563 and 1630. Famous Scottish bearers of this name include James and John Ballantyne (printers), the author Robert Ballantyne (of Coral Island fame), and James Ballantine (artist and poet). Braeside (Aberdeen City and Inverclyde). Brae (pronounced "bray") is a Scots word meaning a hill or slope. 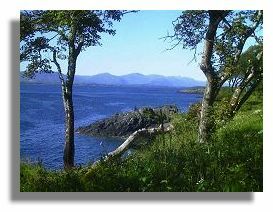 Glen Lorne - Lorne is the name of an ancient district in Argyll & Bute, whence the 'Firth of Lorne' (illustrated here), the name of the large estuary at Oban into which Lochs Linnhe and Etive flow. The 9th Duke of Argyll, John Douglas Sutherland Campbell, also had the title of Marquess of Lorne. This nobleman served as Governor-General of Canada between 1878 and 1883 and was a son-in-law of Queen Victoria. Haig Park - there is a Haigsfield in the Scottish Borders, based on the Scottish surname of Haig. 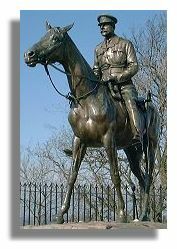 Perhaps the most distinguished bearer of this name in comparatively recent times was Field-Marshall Douglas Haig, 1st Earl Haig of Bemersyde (1861-1928). Born in Edinburgh, Haig became Commander-in-Chief of the British army in 1915, leading the WWI allied forces to victory in 1918. Highlands - possibly recalling the Highlands of Scotland. Lochinvar (a water feature in Dumfries & Galloway, and the name of a poem by Sir Walter Scott about a young knight). Logan Park - there are more than 30 places in Scotland which recall the Scottish surname of Logan, including towns or villages called Logan in Dumfries & Galloway and East Ayrshire and Loganlea in West Lothian. There are also a few places in the once Celtic parts of England (Cumbria, Cornwall and Devon) with Logan as part of the name but these are obscure localities, whose names are unlikely to have travelled to Harare. St Andrews Park (St Andrews, Fife and the patron saint of Scotland). There are also places in both England and Wales that recall St Andrew, but the town in Fife, Scotland, is the only place in the British Isles called and spelt 'St Andrews'. Strathaven (South Lanarkshire). 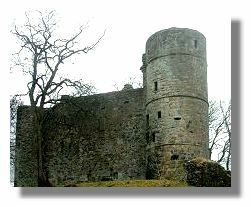 That's an illustration of Strathaven Castle below. 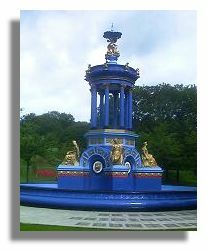 Alexandra Park (Glasgow - the fountain in the park is illustrated here) and New Alexandra Park by association. But there is also an Alexandra Park in two English cities. The Harare suburb is more likely to have been named for Queen Alexandra, wife of Edward VII, rather than places in Scotland or England (which themselves were probably named for this queen). Avondale (Shetland Islands; also Avondale House in Falkirk) and Avondale West by association, but Avondale is also found in England and Ireland. The names of these Harare suburbs could well honour the Duke of Clarence and Avondale, eldest son of King Edward VII. 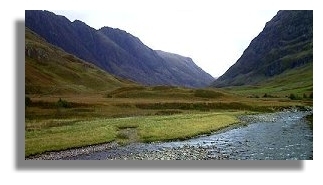 Avonlea - Avon is the name of several rivers in Scotland, including one in Moray and another in South Lanarkshire. However, the name is not exclusive to Scotland as it also occurs in England and Wales, the best known being the river on which Shakespeare's Stratford-upon-Avon is situated. Avon is a Celtic word simply meaning 'river', giving rise to Modern Gaelic and Irish 'abhainn' and Modern Welsh 'afon', both pronounced more or less the same (a-vonn) despite their respective spellings. Belvedere, Belvedere North and Belvedere South - there is a Belvedere in West Lothian as well as in London and Norfolk; also the famous Belvedere Palace in Vienna, Austria. Belvedere was a popular choice of name for localities during the eighteenth and nineteenth centuries. The Concise Oxford Dictionary defines a belvedere as a "raised turret to view scenery from" (a word formed from the Italian words for 'beautiful' and 'see'). Glen Hill (Highland) also across the border in Northumberland. Greencroft (Aberdeenshire) also two places in northern England. Greystone Park - there are many places in Scotland called Greystone, especially in Aberdeenshire, as well as in Angus, Dumfries & Galloway, Highland, Orkney Islands, South Lanarkshire and Stirling but Greystone is also found in northern England, Devon and County Tyrone, Ireland. Highfield and Old Highfield – there are several places in Scotland called Highfield (in Aberdeenshire, Argyll & Bute, East Ayrshire, East Lothian, Highland, North Ayrshire, South Ayrshire and South Lanarkshire). But this descriptive name is found even more commonly throughout England. Hillside (Aberdeenshire, Angus, City of Edinburgh, Dumfries & Galloway, Fife, Inverclyde, Moray, Orkney Islands, Perth & Kinross, Shetland Islands and South Lanarkshire) but just as commonly found in England, sometimes spelt Hill Side, and is also found in Wales. Lewisam - Lewis is the name of an island in the Outer Hebrides and is also a Scottish family name. However, Lewis is also a common Welsh family name, and the name can be found as an element in place names in England and Ireland as well. The name of the Harare suburb looks suspiciously similar to the suburb of Lewisham in southeast London. Mayfield Park (Mayfield is found in Aberdeenshire, Dumfries & Galloway, East Ayrshire, City of Edinburgh, Fife, Highland, Midlothian, North Ayrshire, Orkney Islands, Perth & Kinross, Shetland Islands and South Lanarkshire). Mayfield is also found throughout England but less commonly so than in Scotland. Midlands (Dumfries & Galloway) also in England. Milton Park - Milton is an extremely common place name throughout both Scotland and England and is also found in Wales. Scottish counties and cities which have at least one Milton each include Aberdeenshire, Angus, Argyll & Bute, Dumfries & Galloway, East Ayrshire, City of Edinburgh, Fife, City of Glasgow, Highland, Inverclyde, Moray, Perth & Kinross, South Ayrshire, Stirling and West Dunbartonshire. There appear to be at least a dozen places in Highland alone. Monavale - there is a Mona Gowan in Aberdeenshire and Monaween in Angus. However, Mona is also the latinised Welsh name for the Isle of Anglesey and there is a Mona Hill in Norfolk, England. The Harare suburb may simply refer to the personal name Mona. Mount Hampden Junction - there is a Hampden Park in the City of Glasgow, but places with Hampden as an element in the name are very common throughout England. Mount Pleasant (Aberdeenshire, Argyll & Bute, Scottish Borders, Dumfries & Galloway, East Ayrshire, Fife, Highland, Moray and the Orkney Islands) and Mount Pleasant Heights by association. However, Mount Pleasant occurs widely throughout England, Ireland and Wales, as well as Australia, Canada and the USA it would seem, making it one of the best travelled place names in the English-speaking world. Newlands (Aberdeenshire, Angus, City of Glasgow, Dumfries & Galloway, East and South Ayrshire, East Dunbartonshire, East Lothian, Highland, Moray, Perth & Kinross, and Scottish Borders) also all over England. The picture shows Newlands Park in Glasgow. Norton Knowe (there is a Norton in Scottish Borders and Orkney Islands; also Norton Mains in Edinburgh) but Norton is far more common throughout England and parts of Wales. Knowe, meaning a small rounded hill, is widely used as a place name element in Scotland and northern England (knoll being the preferred form in central and southern England), which greatly increases the likelihood that the Harare suburb refers to a place in Scotland. Southerton (Fife) and New Southerton by association. Southerton is also the name of a place in Devon, England. St Martins (Highland; also East Renfrewshire, spelt St Martin's) but the name is also found in southern England. St Marys (Moray and Orkney Islands) also in Devon, England. The Grange (Angus, City of Edinburgh and Highland) but far more commonly found in England and the anglicised parts of Wales and is also found on the Isle of Man. Westwood (Dumfries & Galloway, Highland, Perth & Kinross, Stirling and South Lanarkshire). Westwood is also commonly found throughout England and is a favourite name for neighbourhoods in Canadian and American cities. Glen Norah also has a Scottish ring about it but there is no trace of a place by this name anywhere in the British Isles. Hardly any suburbs appear to have been renamed since Zimbabwe became independent in 1980. Place name changes in and around Harare seem to have been restricted to one or two topographical features (e.g., Lake McIlwaine to the west of the city is now Lake Chivero), to street names in the city centre and, of course to the name of the city itself. A map of the Harare CBD in the 1950s, when the city was still called Salisbury, shows a large number of streets with Scottish names, equalling those of English or Welsh origin: Abercorn, Bute, Cameron, Colquhoun, Fife, Forbes, Gordon, Grant, Jameson, Livingstone, Moffat and Orr. Several of these commemorated Scots missionaries and explorers. The names of at least four of these streets (Forbes, Gordon, Jameson and Moffat) have subsequently been renamed to commemorate African politicians and statesmen. Jameson Street, for instance, originally named for Sir Leander Starr Jameson, a Scotsman who was Cecil John Rhodes' right-hand man, now honours Samora Machel, the first President of neighbouring Mozambique. It has proved to be difficult for the author of this article to obtain a detailed, up-to-date map of Greater Harare showing the names and locations of its outer suburbs. Any assistance in this regard from Zimbabwean readers would be greatly appreciated. It is also probable that some suburban names may have been obliterated from the face of Harare as the result of internationally condemned government action during 2005 in levelling some of its shantytowns. The Greater Harare Street Guide Including Buildings and Industrial Areas. (1988). (Proprietors Afmark (Pvt) Ltd, Harare). Road Atlas: Africa (1st Edition), 2000. (MapStudio, Cape Town). Website on Neighbourhoods in Harare (www.zimdays.com) for a list of many of the suburbs.